ANGELINA COUNTY, TX (KTRE) - A state bill filed last week that could decrease the punishment for possession of small amount of marijuana isn't sitting well with one East Texas sheriff. He doesn't think the bill would set a good example for our youth. 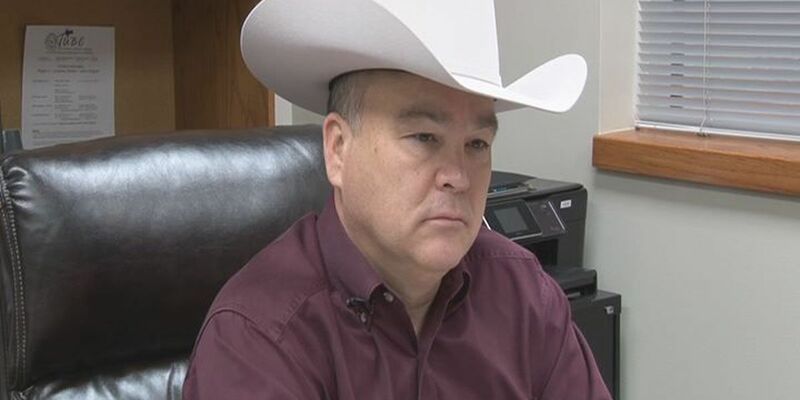 KTRE talked to Angelina County Sheriff Greg Sanches about why he thinks the punishment should stay the same. Texas State Representative, Joe Moody, D-El Paso, filed House Bill 507 on December 15 to be considered during the 84th Texas legislative session that would decrease the punishment for persons caught possessing one ounce or less of marijuana. The bill says the violator would just have to pay a $100 fine and appear in court in lieu of being arrested, but Sheriff Greg Sanches said lessening the punishment is not a good example to set for youth. "It causes a lot of problems for youth, and we see drop outs in school, suicide, DWI, and lots of other problems that arise because of impairment, so I don't take marijuana lightly at all. It definitely leads to the harder drugs," Sanches said. Sanches said the jails and prisons aren't full of people convicted on marijuana charges. "It's never really been a big burden as far as the jails and even the prisons," Sanches said. Sanches said prosecutors are already trying to work with people who are facing jail time in small possession cases. "If they see that it's not real serious, and they think it's not that big of a deal, but it actually is a big deal," Sanches said. Sanches said slapping people on the wrist when it comes to drugs will just bring more drugs in and increase crime. "Any type of drug charges that you see, it kind of associates with the burglaries and the robberies and the thefts," Sanches said. "I think that we all need to remember that any drug that you put in your body like that is going to cause impairment, and that's where people make bad choices, and it leads to a lot of problems for our youth. It leads to the addiction problem and on to harder drugs." House Bill 507 still has to pass through six more stages in the legislature before it can become law. Copyright 2014 KTRE. All rights reserved.